Pink sings with her daughter in a heartwarming new video. 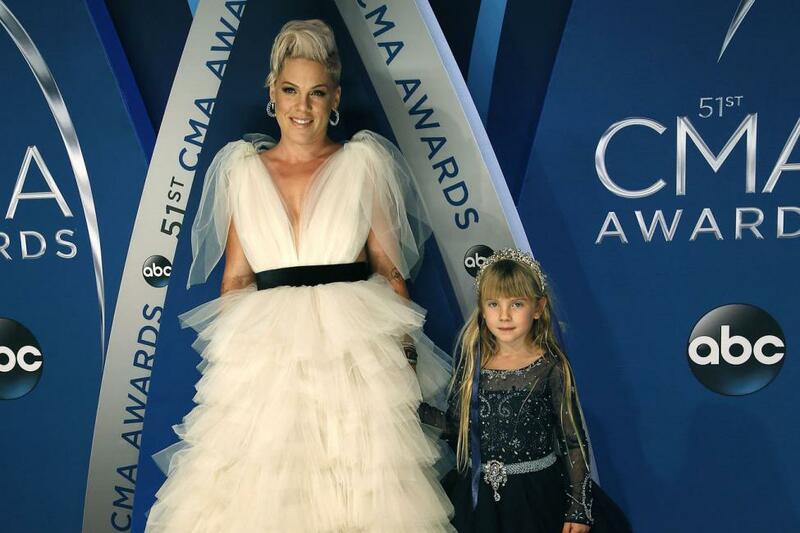 Atlantic Records shared footage Wednesday of the 39-year-old singer and Willow, her 7-year-old daughter with Carey Hart, recording songs for The Greatest Showman - Reimagined album. Pink and Willow took on "A Million Dreams" and "A Million Dreams (Reprise)," which Hugh Jackman originally performed in the movie The Greatest Showman. The film opened in theaters in December. "I grew up listening to Annie and no one has done this for me, for my heart, since I was a little girl," Pink tells director Michael Gracey and songwriters Pasek and Paul in the clip. "To have her finally have something like this? You made our favorite movie ever," she gushed. The Greatest Showman - Reimagined is a companion album to the original movie. Variety reported the album, which debuts Nov. 16, will also feature songs from Kelly Clarkson, Sara Bareilles and Panic! at the Disco. Pink is parent to Willow and 22-month-old son Jameson with Hart, a former motocross competitor. She shared a photo Tuesday of her kids watching Hart ride his dirt bike. "Practice makes perfect #gofastturnleft #gopapago," the star captioned the post.